With locations in Garland, The Colony, Mansfield, Roanoke and Waco, there’s more fun in every direction at Hawaiian Falls Waterparks. This summer brings 16 new rides! Have a blast on a new slide, learn about water in a splash camp, or book a group event or birthday. 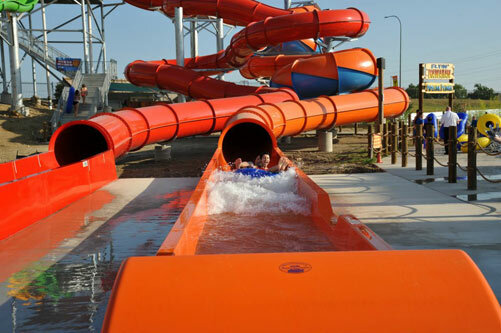 Here’s a sample of what you and your family can enjoy at one of the five locations of Hawaiian Falls Waterparks! Also, look below for a link to discounts and coupons! The Hawaiian Halfpipe at Hawaiian Falls Mansfield sends you down a huge drop, catapults you up three stories and backwards for a spectacular finish. 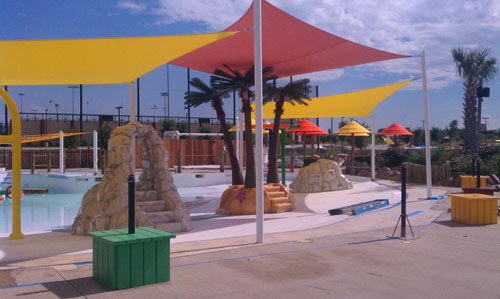 Loaded with shade, water umbrellas, swimming and rope ladders, the new Splashwater Reef at Hawaiian Falls Mansfield is a great place for kids and parents. Zip down Garland’s new ride, The Rush, to the tune of your favorite song while laser lights and misters whirl past you. The all new Beach Blasters at Hawaiian Falls Roanoke is the world’s first dueling multi-tube racer. Two dual-person floats are launched in opposite directions in a race to a splashing victory! The Flyin’ Hawaiian and Monsoon. Race down brand new 65 foot speed slides. 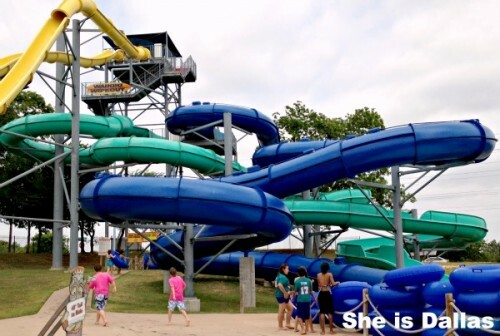 Both new to Hawaiian Falls Roanoke and Waco! 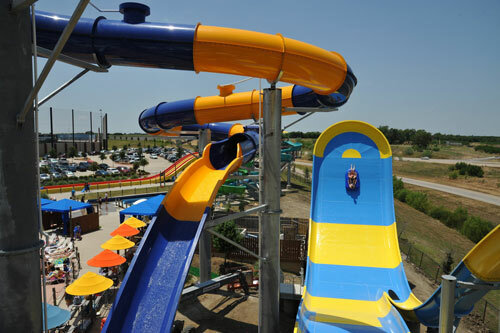 For more information on Hawaiian Falls Waterparks, visit their website at www.hfalls.com, connect with them on Facebook, or follow their tweets on Twitter. I love hawwian falls its so cool I went to the place with my classmates for a field trip in mansfield 4th grade. At first I was really scared I t tried the slide and I went like 5 times . Since I didn’t know how to swim I had to wear a life jacket in the pool,but I had so much fun!!!! I am going again tomorrow June 22,3013 !!! And I am so exited I can’t wait to show my family the new rides !!! We are going with some close friends !!! We are like so exited ! !’ Since I went with my friends I can’t wait to show them the cool rides !!! Whoever works there is awesome !!! They are lucky to work at such a wonderful place !!!! I don’t like to get my hair wet , but I did and I was so happy about it !!! I was like jumping on people and having a great time !!! I love all the rides ,but my fav of all is the orange and blue slide !! I didn’t want to do it at first !!! OMG I said I went like 6 times !!!! The wave pool the lazy river and kid park !!! It’s so clean too most water parks are dirty !!! It’s all shiny even know kids are all over it !!! The food their is great !!! My fav though is the sugar machine !!! There was like different flavors !!!! I wanted to get the big tube but they said no!!! So I got the little tube instead !!! I just want to say that thank you so much for all the fun rides and pools to go on and y’all are kinda better than six flags !!! And the others !!!! !